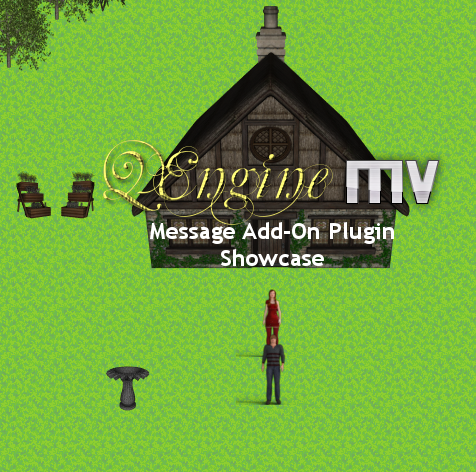 The video showcase of my upcoming RPG Maker MV Message Add-On plugin for the QEngine is online. The following video details the text codes available for the Message Add-On plugin, but not how to use them (that’s in the help file). Both the QEngine and Message Add-On plugins aren’t available yet, except for my valued beta-testers. For those who don’t know, the QEngine is a core plugin I started writing (and continued writing on and off) for awhile now for RPG Maker MV. Its main purpose is to add extra functions to enable cross-compatibility and usability with most (if not all) of my plugins, new and old. The add-ons then rely on the QEngine for these core functions, rather than repeating them in each plugin. They’re all referenceable separately from within the plugin for other plugins as well. That is, provided, of course, that you also have the QEngine installed. As a prime example, the function toBoolean allows Yes/No, Enable/Disable, On/Off, Show/Hide and True/False, which returns either true or false. Each yields the same results. I basically added these for a more logical approach to setting true or false. As an example, you could have something like Enable Full Screen, to which the more logical choice would be Enable to allow full screen or Disable to not allow it. And if presented as a question, you’d use Yes/No instead. Although scheduled for release last month, my beta-testers found some bugs and suggested areas of improvement. Therefore, I deferred it until it’s "just right". I don’t know when this will be at the moment. It all depends on how long this takes, both for the QEngine and its plugins.